We really liked the HTC One X, and from our brief encounter with the One X+ tonight, we're going to like it even more. On the outside, it looks essentially the same—same gorgeous screen, same solid build—but its insides are nicely ramped up. This will be the first phone hitting the States with Nvidia's 1.7GHz quad-core Tegra 3 (yes, this new version can now work with LTE). The U.S. version of the One X used a dual-core Snapdragon S4. We can't wait to crunch the numbers and see which really is faster. The X+ boosts the battery from 1800mAh to 2100mAh, yet AT&T claims that it will get 50 percent more battery life on average. We were those gains were largely due to the Tegra 3's power-saving fifth core. That would be huge, as battery life is one of the worst things about the One X. 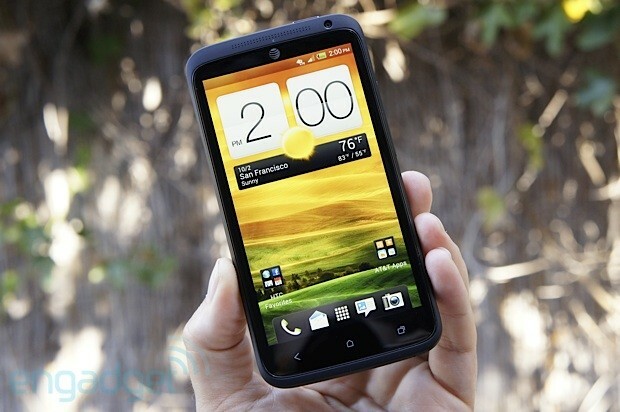 This was also our first look at what HTC's Sense+ UI looks like when it's on top of Jelly Bean (Android 4.1). Good news: at first glance it's even less offensive than Sense was on top of Ice Cream Sandwich. Everything was as smooth and quick as you would hope—Google Now popped up instantly. Where other manufacturers are adding more and more flourishes, HTC has actually scaled back even further, removing a lot of animations which leaves a quicker-feeling experience. HTC also revamped the already good camera app to make it even more intuitive. We only had a few minutes with the X+, but it left us extremely eager to give it a full test. When we do, you'll be the first to know. It will be arriving on AT&T in the weeks to come. Having trouble selling your knick knacks and sundries online? Maybe you just need better photos on your eBay listing. But instead of hiring a professional photographer, the Nimbus Cloud Dome promises pro-looking shots using just your smartphone. 3M's partnered up with Roku to provide a "big-screen" cinema experience from the comfort of your home. 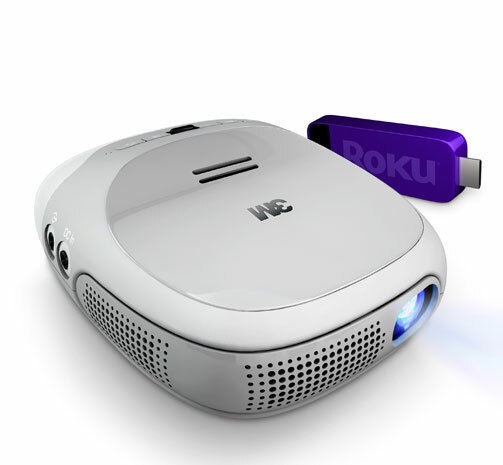 Announced today at a joint event, the Streaming Projector is a 4.3 x 4.2 x 2.0 inch palm-sized device that can project images in WVGA resolution up to 120-inches across walls or any other smooth surface of your choosing with a brightness of 60 lumens. The 1lb pod-like gadget has a battery life rated at just under three hours -- a little more than the running time of most blockbuster movies -- and also features a 3.5mm headphone jack for audio out, in addition to an inbuilt speaker. Of course, you need media to pair with it and that's where Roku's included streaming stick comes in handy, delivering an array of commercial content over dual-band WiFi. It's set to ship sometime this November for $299 as an Amazon exclusive. 3M, Roku team up for Streaming Projector to ship this November for $299 originally appeared on Engadget on Fri, 05 Oct 2012 10:00:00 EDT. Please see our terms for use of feeds. 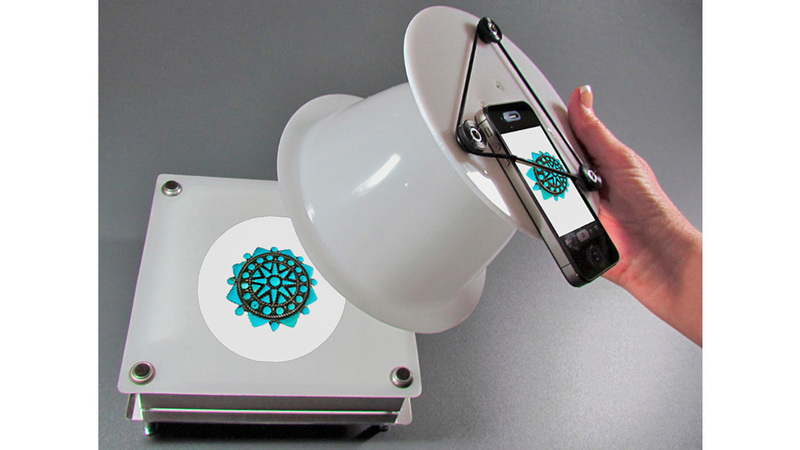 What if printed prototypes could become actual products? Meaning, once off the print bed an object could be assembled without any tools and be made functional by readily attainable components. 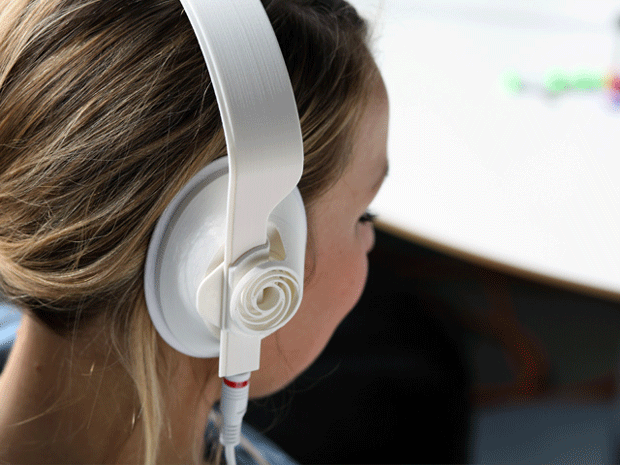 An attempt at the answer comes in the form of the 13:30 printable headphones, which can by created on a MakerBot Replicator and coupled with some off-the-shelf components, making for a pair of slick-looking, functional headphones that, at the very least, will help you stand out from the rest of the Beats By Dre enthusiasts on a crowded subway train. Print your own headphones on a MakerBot Replicator and beat Dre at his own game originally appeared on Engadget on Fri, 05 Oct 2012 11:36:00 EDT. Please see our terms for us! e of fee ds. After releasing one long-awaited update back in April, venerable media PC platform MythTV has quickly pushed out another update to version 0.26. The changelog isn't particularly long this time around, though it does claim HTTP Live Streaming playback and recording, some clock tweaks and the requisite performance improvements. With that wrapped, the team has already shifted its focus to the next version, 0.27, which it says should be a more exciting release. It's scheduled for release in April of next year so we'll mark our calendars -- in pencil, not pen. MythTV updated to 0.26, hints at 'more exciting' 0.27 coming next year originally appeared on Engadget on Thu, 04 Oct 2012 21:32:00 EDT. Please see our terms for use of feeds. The Parrot AR.Drone 2.0 is many good things, but "long-ranged" isn't what comes to mind with a 165-foot maximum distance between pilot and quadrocopter. 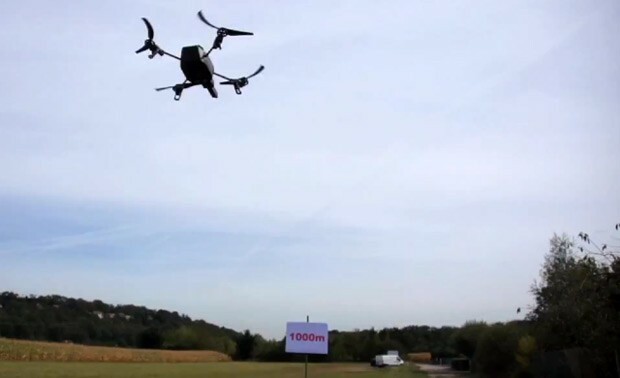 Not to be daunted, Alcatel-Lucent has conducted a test with an ad hoc LTE network, a USB modem and a smartphone to see just how far the remote-controlled aircraft could go on 4G. In practice, quite far: thanks in part to the inherently wide coverage of the 800MHz band in France, the team flew the AR.Drone more than 3,280 feet (one kilometer), all while streaming 720p video of the farmland below. Besides giving us ideas for a North by Northwest remake, the flight emphasized the possibilities that come when we have access to a long-distance wireless link with high bandwidth, such as monitoring crops or some very literal field journalism. The challenge will be convincing Alcatel-Lucent to share its trick and let us pester our not-so-next-door neighbors. Alcatel-Lucent flies Parrot AR.Drone 2.0 over 3,280 feet using LTE: reach out and buzz someone (video) originally appeared on Engadget on Thu, 04 Oct 2012 22:23:00 EDT. Please see our terms for use of feeds. Researchers at the University of California San Diego have devised new algorithms that can cut lithium-ion battery charge times in half, help cells run more efficiently and potentially cut production costs by 25 percent. 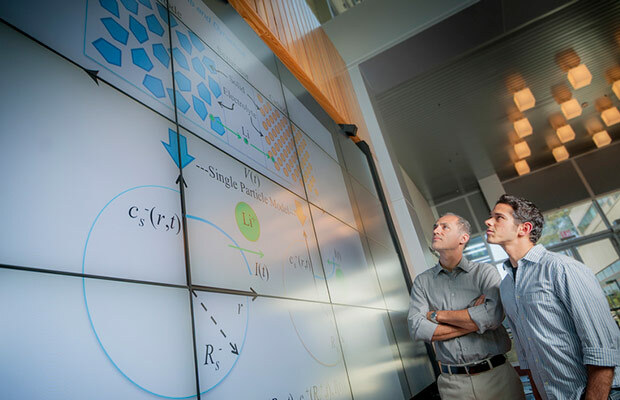 Rather than tracking battery behavior and health with the traditional technique of monitoring current and voltage, the team's mathematical models estimate where lithium ions are within cells for more precise data. With the added insight, the team can more accurately gauge battery longevity and control charging efficiency. The group was awarded $460,000 from the Department of Energy's ARPA-E research arm to further develop the algorithm and accompanying tech with automotive firm Bosch and battery manufacturer Cobasys, which both received the remainder of a $9.6 million grant. Wondering if the solution will ever find its way out of the lab? According to co-lead researcher Scott Moura, it'll see practical use: "This technology is going into products that people will actually use." Researchers create algorithms that help lithium-ion batteries charge two times faster originally appeared on Engadget on Thu, 04 Oct 2012 23:07:00 EDT. Please see our terms for use of feeds. Our 1997-era selves would die with envy right about now. Fraunhofer has developed a new generation of infrared transceiver that can transfer data at 1Gbps, or well above anything that our vintage PDAs could manage. While the speed is nothing new by itself -- we saw such rates in 2010 Penn State experiments -- it's the size that makes the difference. The laser diode and processing are efficient enough to fit into a small module whose transceiver is as large as a "child's fingernail." In theory, the advancement makes infrared once more viable for mobile device syncing, with room to grow: even the current technology can scale to 3Gbps, lead researcher Frank Deicke says, and it might jump to 10Gbps with enough work. Along with the usual refinements, most of the challenge in getting production hardware rests in persuading the Infrared Data Association to adopt Deicke's work as a standard. If that ever comes to pass, we may just break out our PalmPilot's infrared adapter to try it for old time's sake. 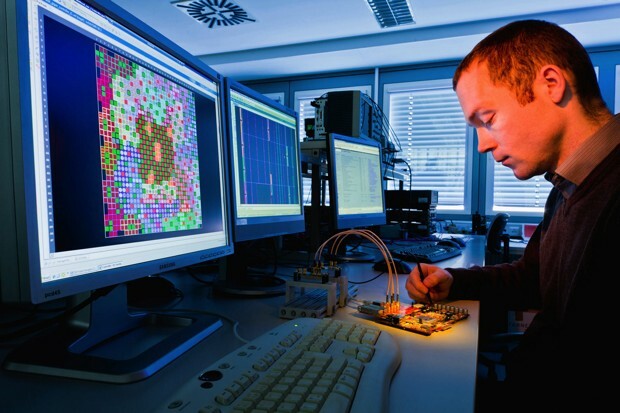 Fraunhofer develops extra-small 1Gbps infrared transceiver,! recalls our PDA glory days originally appeared on Engadget on Fri, 05 Oct 2012 01:32:00 EDT. Please see our terms for use of feeds. What do you do if you've been selling what's arguably the best superphone on the US market and the competition is heating up? Make it better, of course, and that's exactly what HTC's done with the One X+ for AT&T. This is the same improved handset we recently played with in the UK, but unlike AT&T's One X -- which dropped the global model's quad-core Tegra 3 with 32GB of storage in favor of a dual-core Snapdragon S4 with only 16GB of flash for the sake of LTE -- AT&T's One X+ gives you the best of both worlds: NVIDIA's 1.7GHz quad-core Tegra 3 AP37 SoC combined with Qualcomm's MDM9215m GSM/EDGE/UMTS/HSPA+/LTE radio plus 32 or 64GB of built-in storage. Gone are the white and grey hues -- you can have your One X+ any color you want as long as it's flat black. Whereas the UK version of HTC's new flagship incorporates red accents around the camera and in the Beats logo, the US model is completely black. The rest of the specs match the global version -- you'll find the same gorgeous 4.7-inch 720p Super LCD 2 display with Gorilla Glass 2, same impressive eight megapixel f/2.0 autofocus BSI rear camera with flash, same 1GB of DDR2 RAM, along with the updated 2100mAh sealed battery and 1.6MP BSI front-facing shooter capable of 720p video. J! elly Bea n and Sense 4+ are on the menu as well, with snappier-than-ever performance. Put AT&T's One X and One X+ side-by-side, and other than the color difference you'd be hard-pressed to tell them apart. The carrier's logo is slightly different, but that's about it -- even the docking pins in the back line up perfectly. Other improvements common with the global model include Amplified Sound for clearer sound from the speaker, Sightseeing mode which lets the power button launch the camera and Auto Portrait mode which helps you take better self-portraits. There's still no word on pricing or availability but we invite you to feast your eyes on the gallery below and hit the break for our hands-on video. 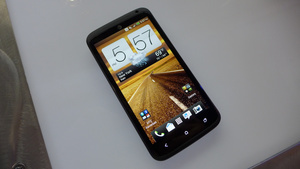 HTC One X+ for AT&T hands-on: Tegra 3, LTE and Jelly Bean together at last (video) originally appeared on Engadget on Thu, 04 Oct 2012 17:15:00 EDT. Please see our terms for use of feeds. AT&T's still keeping us in the dark about a hard date for the Galaxy Note II's release, but at least we know it's real and on the way. Confirmed to ship sometime this holiday season, this variant of Samsung's phablet refresh sports a 5.5-inch 1,280 x 720 HD Super AMOLED display, 1.6GHz quad-core Exynos processor, 8-megapixel rear camera capable of 1080p video capture, beefy 3,100mAh battery and, of course, a refined S-Pen. It's nigh unchanged from both the global and Sprint models we'd gotten hands-on with previously; a trend the OEM sparked off with the release of the GS III earlier this year. And in a move that augurs well for those of you averse to branding, there's no superfluous carrier logo blemishing its smooth white back. If you thought the original Note was big and unwieldy, prepare to stretch your palm even further. Samsung added 0.2-inches to this update, while incorporating elements of its "famed" inspired by nature design that conspire to lend this handset a reassuring in-hand fit. On the lower right-hand side, you'll find a convenient slot for the S-Pen which, when removed, triggers an action menu that can be customized to launch selected apps. A large physical home! button rests just below the expansive 16:9 screen and is flanked by capacitive buttons for menu and back, while the front-facing camera resides up above and hardware keys for volume and power are placed on the left and right edges, respectively. On the software front, you're still looking at a TouchWizzed version of Android 4.1 Jelly Bean, as well as some carrier-specific apps that come pre-loaded. Samsung Galaxy Note II for AT&T hands-on: an S-Pen phablet with 4G LTE originally appeared on Engadget on Thu, 04 Oct 2012 17:40:00 EDT. Please see our terms for use of feeds. Bang & Olufsen, venerable purveyor of luxury AV products from Denmark, just fired this handsome 27-inch diameter speaker disk into the world. It kind of looks like it could be used to communicate with similar dishes across down. It can't, but it can play music from your DLNA device wirelessly. Behind the BeoPlay A9's fabric covering is a 320-watt, five-speaker array: an eight-inch woofer, two three-inch mid-ranges, and two 3/4-inch tweeters. It also has a proprietary signal processing inside that optimizes the sound depending on weather it's hanging in corner, hanging against a wall, or standing on its wooden peg legs. 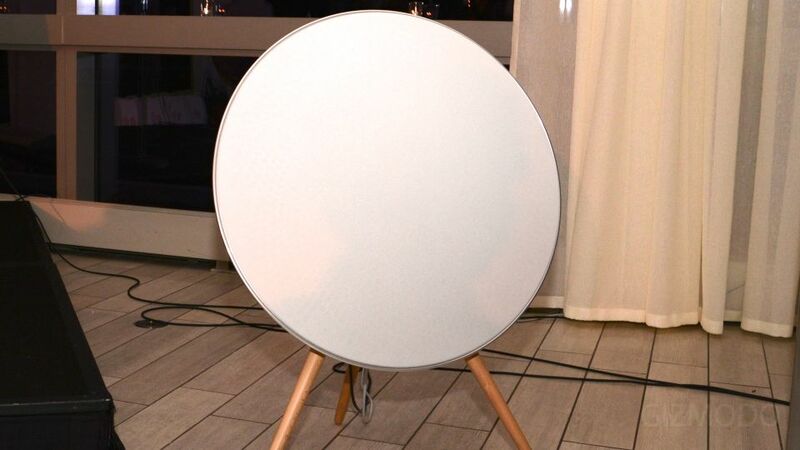 We heard the BeoPlay A9 in a large party room at the NYC launch event, and it was loud enough to hear over the rumble of drunk people. We didn't get an intensive listening session, but the sound was very impressive. We heard a nice tonal blend even when playing at top volume. 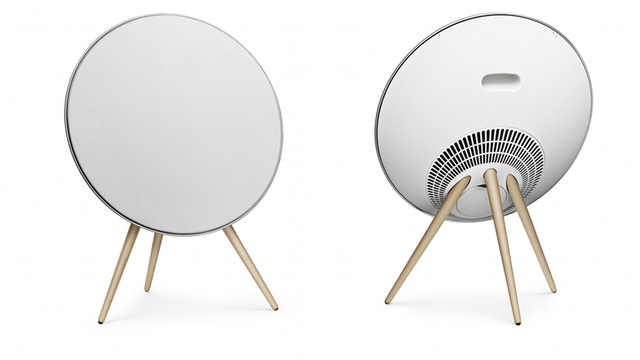 Like the BeoLit 12 released earlier this year, the BeoPlay A9 is primarily intended as an AirPlay device. 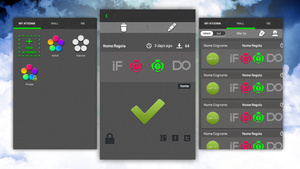 Simply download B&O's configuration app, and it walks you through the process of setting the system up with your home wireless network. You can also connect directly to the speaker via DLNA, and there's a 3.5mm jack in case you're using a non-Wi-Fi device. As has been rumored before, Google will reportedly release multiple Nexus-branded phones this fall in time for the Holiday shopping season, according to DigiTimes. Nexus phones run a clean version of Android, meaning there aren't any software modifications from the manufacturers. DigiTimes says Sony, Samsung, LG, and HTC will each have a Nexus phone this year. It's a very different strategy from years past. Google typically chooses one manufacturer to make a Nexus phone, and that device becomes the "hero" Android phone for a year. Now it seems Google will try out multiple Nexus phones and sell them all through its online Google Play store. We're expecting Google to announce its new Nexus lineup in a month or so. Think of an action cam, and the name GoPro probably comes to mind. But there are a lot of alternates to consider, as a recent action cam Battlemodo proved. One brand, Contour, has always been just a step away from gaining GoPro-style notoriety. The recently announced Contour+2 might change that. 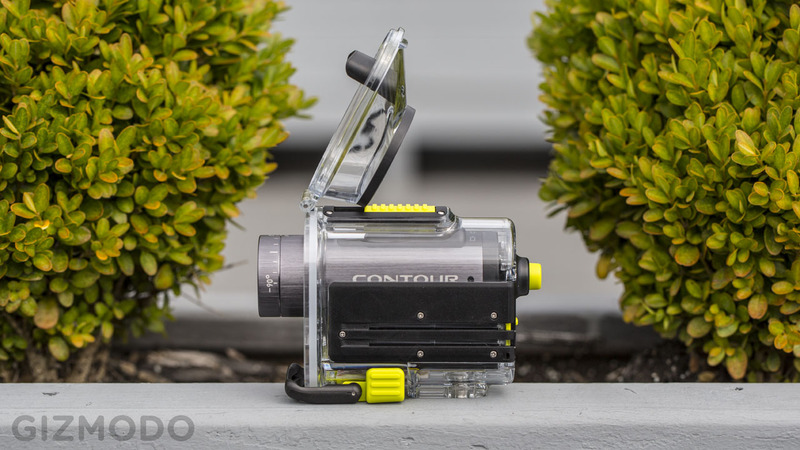 A miniature HD video camera that you mount to a helmet, bike, surfboard, or car. Those who engage in activities during which "cowabunga" might be heard. Ravishing. Sleek brushed metal. Definitely better looking than the homely GoPro line. Then again, you don't buy these for looks. Contour makes a big deal about a single switch handling power and record. On the rear, a status button shows battery strength and storage space. 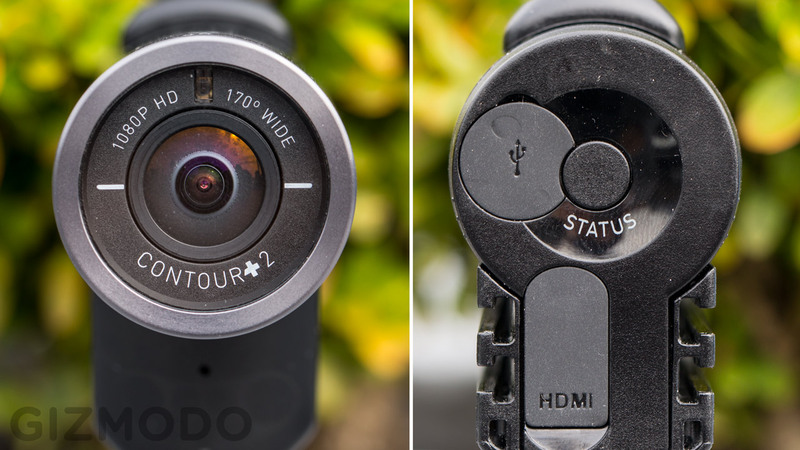 You can control almost all aspects of the camera via bluetooth-enabled iOS or Android smartphone. Being able to start recording and change settings without fiddling with the camera is a really great feature. Great image quality. There are minor issues such as a yellow color-cast in certain lighting conditions, and the occassional "jello effect" if the camera is vibrating havily. But compared to the GoPro Hero2, the images are noticeably sharper when viewed full-screen. Not rugged enough. Stuck to the underside of a skateboard, the plastic rotating surface mount actually broke apart while skating down the street. The rear-control hatch was knocked open. Luckily, we had some backup duct tape holding the camera in place. Not good—and all from skateboarding down the street! 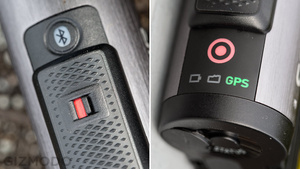 To fit the camera on an object, there is a strappy "Profile Mount," meant for a helmet, and a "Flat Surface Mount," an adhesive square that sticks to most smooth surfaces. 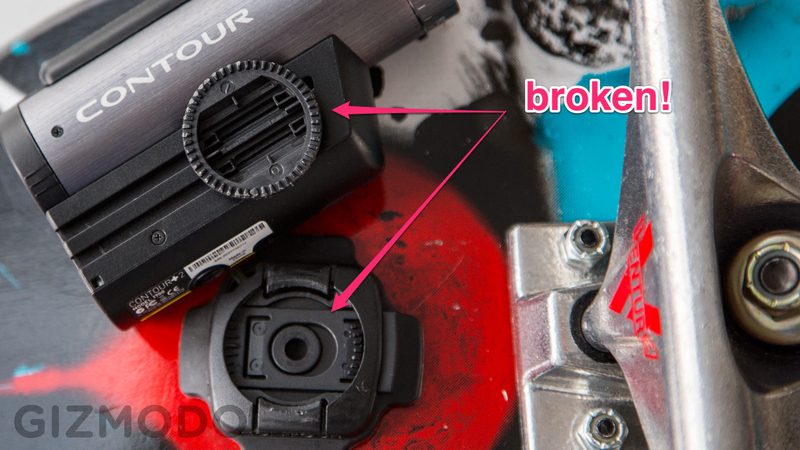 This mount, which rotates so you can align the camera properly, was the one that came loose from the skateboard. The camera's rotating sensor is really cool. You can rotate it a full 360 degrees so that your horizon is straight no matter what crazy way you have the thing mounted. You will never have annoyingly off-axis video to watch. The Contour software can overlay a data box on your video that displays GPS location, elevation, and even speed. The kit comes with waterproof housing. This used to be an add-on accessory, but with the Contour+2 it is included, all for $100 cheaper than the previous kit. The laser beam on the front, meant to help level your camera is damn near useless in daylight. It shines in your eyes when you least expect it. If I go blind, it's on Contour. There are decent options for adjusting picture settings—contrast, sharpness, and white balance. Battery life is decent at 2-2.5 hours, but it takes forever to recharge. The camera seemed a bit heavy for the helmet strap. It held in place, but wobbled around a lot. 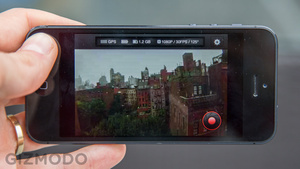 Field of view is fixed at 170°, whereas as GoPro Hero2 has variable field of view going up to 180°. Sound is not great. There is a mic jack (that uses a proprietary adapter cable) if you want to record anything besides muffled wind and vibration. For those not interested in complex video editing, the Contour Storyteller software is easy to use and designed fairly well. The Contour+2 is not a bad product. Yes, we had a couple of problems, but it still offers great image quality in a versatile device. The real question is whether to buy a Contour+2 or a GoPro. It comes down to what you care about. 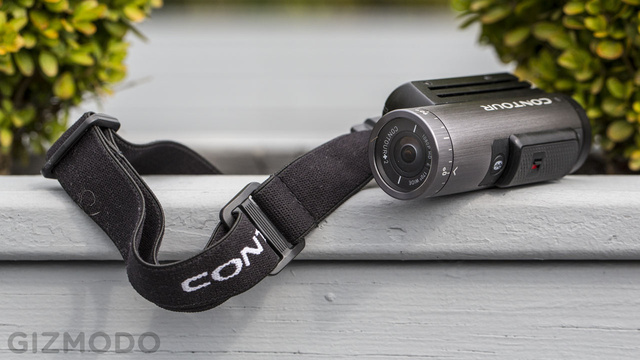 If you like tracking GPS data, want excellent footage of your exploits, and you love the idea of controlling the camera with your iPhone, then the Contour+2 is a great choice. If you just want a decent image mounted as securely as possible, you might want a GoPro—as we learned recently, GoPro mounts are freaking strong. Another factor to consider: The Sony Action-Cam is on the horizon, and it could potentially offer a better product for less money. Wait to see how the Sony tests, and then make a decision based on what you need. The Contour+2 could be the one. Just don't forget your duct tape. Well this could be (but sadly probably won't be) interesting. 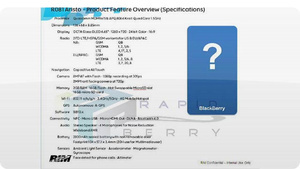 A spec sheet of a supposed new phone from RIM has turned up on RapidBerry, and its specs actually seem, for once, pretty modern. Here's the spec rundown: a Qualcomm APQ8064 Krait Quad Core 1.5GHz processor, 2GB of RAM, LTE, an OLED 4.65-inch 1280x720 screen, 16GB of storage with a microSD card slot, and a 2800mAh battery. 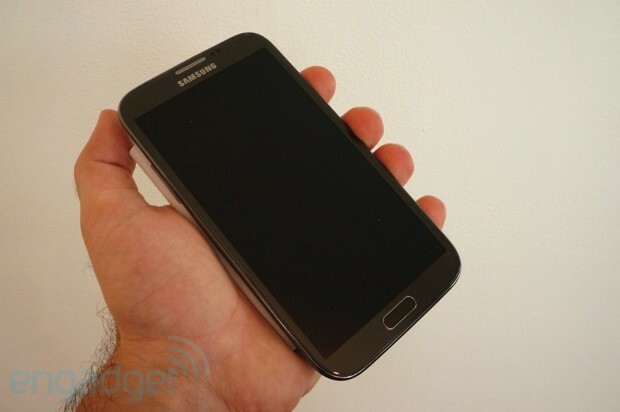 Its dimensions, 68 x 136 x 8.85mm, put it basically right at the same size as the Galaxy S III, which is 71 x 137 x 8.6mm. 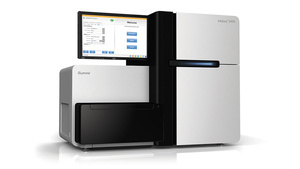 Researchers at a hospital in Kansas have been using this machine to crank out entire genome sequences of just-born babies in two days—which could be fast enough to change treatment regimes and save their wonderful little lives. "For those of us who have been decoding genomes, it's been phenomenally frustrating that, up until now, practical medicine has not benefited from whole-genome sequencing... We can now consider whole-genome sequencing to be relevant for hospital medicine." What's desperately sad is that, so far, all the babies who have had their genomes sequenced at these high speeds—six in total—have been so ill they've all died. 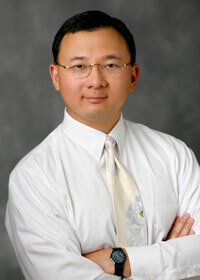 But there's hope that in the future, the fast turnaround time will allow doctors to perform life-saving treatments. If you're getting a serious dose of déjà vu, we're right there with you. 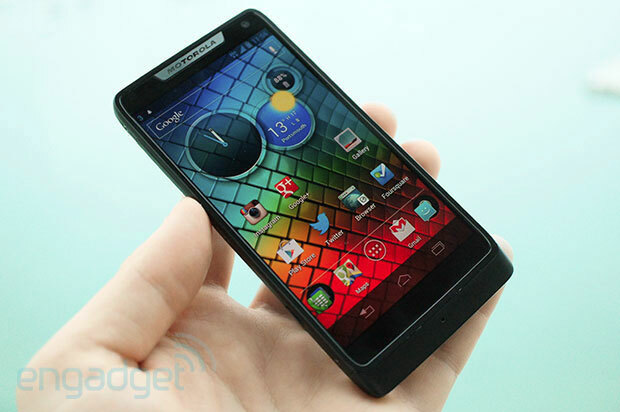 The RAZR i is a version of Motorola's Droid RAZR M that's headed to Europe and South America with a few differences. For the most part, though, it's cut from the same Kevlar cloth: you get a 4.3-inch AMOLED screen with qHD (960 x 540) resolution, an 8-megapixel rear camera, a 2,000mAh battery and 5GB of built-in storage -- with a microSD slot for expansion. So what's different? On the outside, the RAZR i gets a physical, two-stage camera button. It's a welcome addition, but Intel reckons that its 2GHz processor is what you should be concerned with. It's the highest-clocked Medfield processor we've seen yet -- and perhaps more importantly, it's been placed in a core phone-maker's device. We've already come a long way from the Orange-branded San Diego. So how does this compare to the Qualcomm-powered (and ! LTE-capa ble) RAZR M? Will this Intel iteration charm us the same way? Join us after the break to find out. Motorola RAZR i review: Intel's 2GHz processor in a small, Android ICS package originally appeared on Engadget on Thu, 04 Oct 2012 09:00:00 EDT. Please see our terms for use of feeds. From existing tech like Face Unlock and Google Goggles to patent filings and Project Glass, it's clear that Google sees augmented reality and image recognition playing a big part in our computing future. It makes sense, then, that Big G subsidiary Motorola has bought Viewdle -- a Silicon Valley company that builds face, object, and gesture recognition technology for mobile devices. We don't know how much MMI paid for Viewdle, but we do know, thanks to a statement obtained by the good folks at TechCrunch, that the two firms "have been collaborating for some time." So, hopefully Android will reap the benefits (and fix those Face Unlock flaws) in the not-so-distant future. 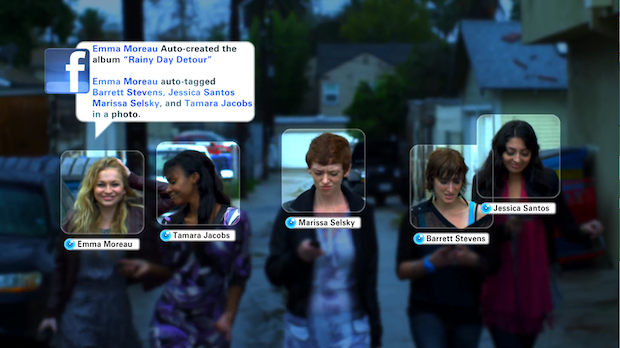 Googlerola buys Viewdle, ups Android's augmented reality and face recognition game originally appeared on Engadget on Wed, 03 Oct 2012 21:17:00 EDT. Please see our terms for use of feeds.